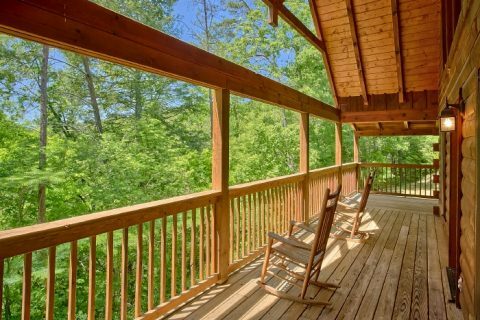 Experience "Knotty and Nice," a secluded Smoky Mountain cabin with great views. 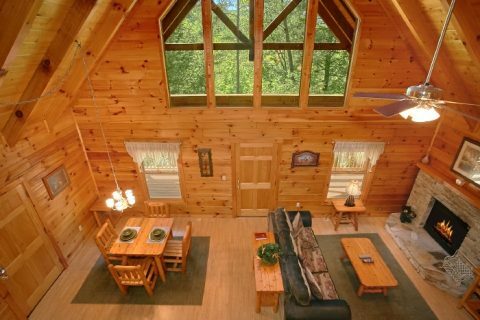 This cozy accommodation sleeps two guests and is an excellent private honeymoon cabin in the Smokies. 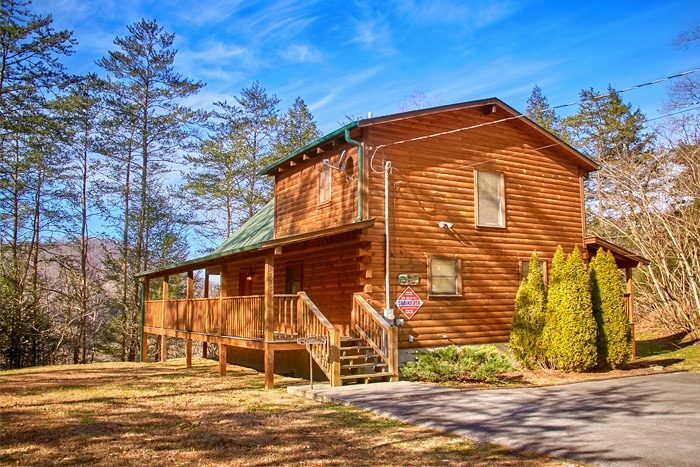 With a secluded setting, romantic amenities, and a great location only a short drive from Downtown Pigeon Forge, you and your sweetheart are bound to love this cozy log cabin. 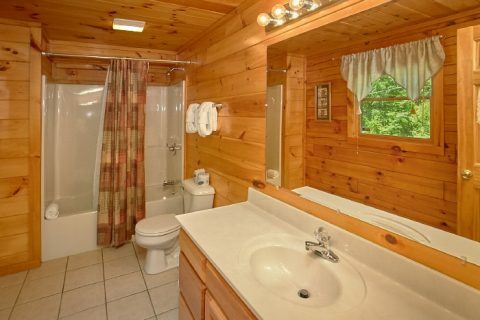 Your romantic cabin rental close to Pigeon Forge is mere minutes away from traffic light #10 on the main parkway. 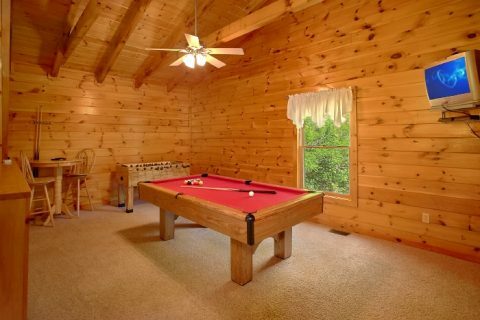 Here, couples will find an impressive variety of attractions, restaurants, and shops that will suit every kind of vacationer. 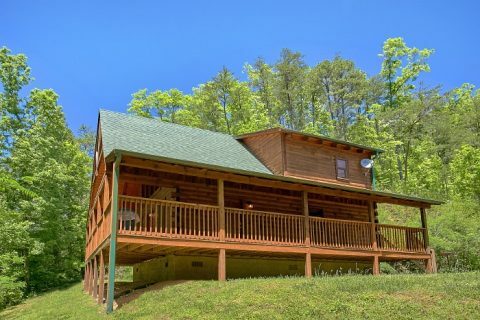 Better yet, this part of the Parkway is close to nearby Gatlinburg where couples can enjoy quick access to the Great Smoky Mountains National Park. 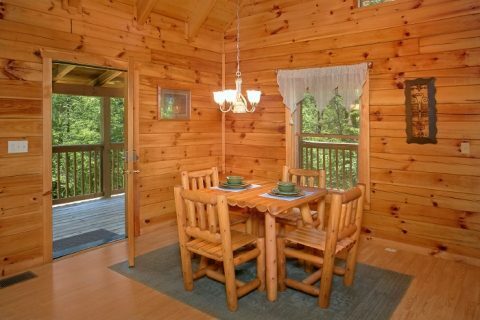 After a satisfying day spent exploring the Smokies, the fun doesn't have to stop when you return to your own cabin with great views! 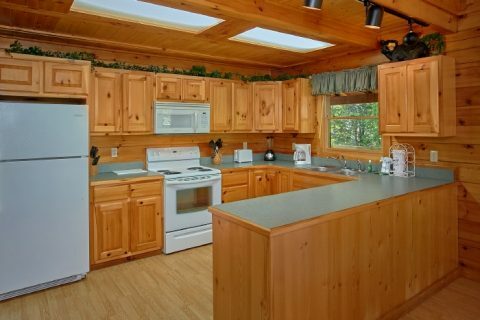 For dinner, there are many great restaurants in nearby Pigeon Forge, or you have the option of preparing a romantic dinner for two in your log cabin's kitchen. 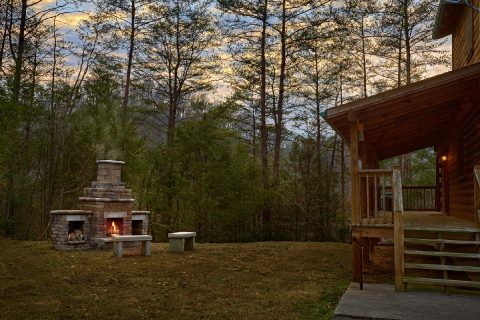 As the sun goes down, you won't want to miss seeing a Smoky Mountain sunset from your cabin's hot tub on the back porch. 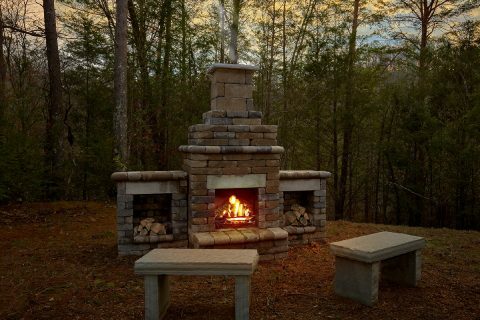 Better yet, you can also enjoy sitting around the outdoor fireplace while you take in the beautiful sight of a star-filled sky. 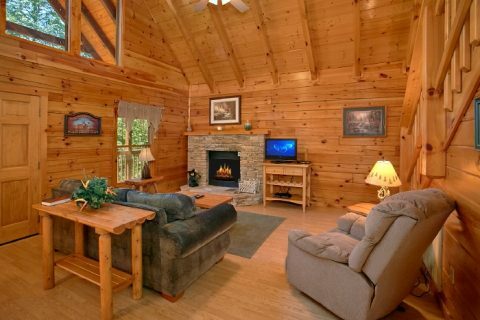 Before bed, you and your sweetheart can curl up near your seasonal, gas fireplace and watch a good movie in your cabin's living area. 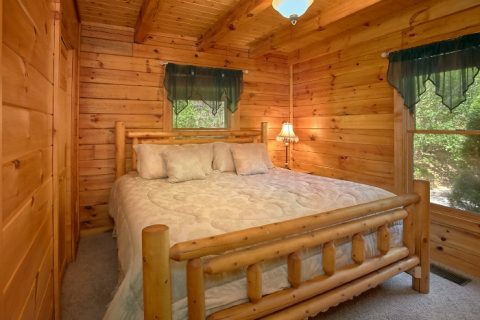 When it's time to call it a night, you can look forward to getting a great night's rest in a king-size bedroom! 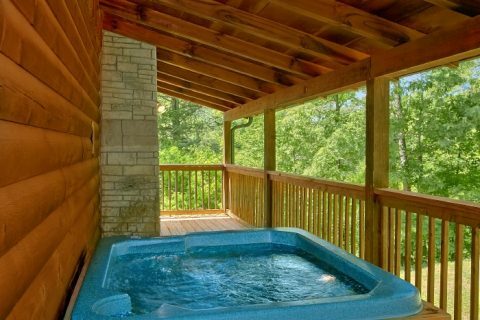 Book your very own personal honeymoon cabin close to Pigeon Forge to enjoy romantic amenities and views for a truly memorable stay in the Smokies. Better yet, you can book this cabin through Cabins USA Gatlinburg and earn our 15% discount to make your stay even more affordable!